We spend plenty of time here on The Millions telling all of you what we’ve been reading, but we are also quite interested in hearing about what you’ve been reading. By looking at our Amazon stats, we can see what books Millions readers have been buying, and we decided it would be fun to use those stats to find out what books have been most popular with our readers in recent months. Below you’ll find our Millions Top Ten list for April. In September 2012, we interviewed Sadie Stein, one of the Paris Review editors behind Object Lessons: The Paris Review Presents the Art of the Short Story, a book that seems tailor-made to appeal to Millions readers. In it, a handful of accomplished short story writers — Ann Beattie, Jeffrey Eugenides, Joy Williams, and so on — were asked to pick a favorite story from the journal’s archive, then write a brief introduction explaining how the story spoke to them. After a six-month run, the book has now graduated to our Hall of Fame. Otherwise, our list doesn’t see a whole lot of movement, with the top four positions unchanged, including Millions ebook Epic Fail: Bad Art, Viral Fame, and the History of the Worst Thing Ever at number one. Karen Russell’s Vampires in the Lemon Grove is our one debut this month. We’ve interviewed Russell twice, in 2011 and again early this year. Vampires was also featured in our big 2013 book preview. Near Misses: The Round House, The Orphan Master’s Son, Fox 8, Going Clear: Scientology, Hollywood, and the Prison of Belief, and Dear Life. See Also: Last month’s list. We spend plenty of time here on The Millions telling all of you what we’ve been reading, but we are also quite interested in hearing about what you’ve been reading. By looking at our Amazon stats, we can see what books Millions readers have been buying, and we decided it would be fun to use those stats to find out what books have been most popular with our readers in recent months. Below you’ll find our Millions Top Ten list for March. Last fall saw the arrival of three hotly anticpated titles from a trio of the most popular literary writers working today. Now those three titles are ending their run in our Top Ten by graduating to our Hall of Fame: This Is How You Lose Her by Junot Díaz, NW by Zadie Smith, and Telegraph Avenue by Michael Chabon. Those graduations made room for three debuts. Jami Attenberg’s The Middlesteins pops up at number four. Attenberg made an appearance in our Year in Reading in December. The most popular piece on The Millions last month, by a wide margin, was Ted Gioia’s unearthing of John Brunner’s Stand on Zanzibar and the remarkably prescient predictions contained within. The essay sent readers running to check out the book. Finally, Billy Lynn’s Long Halftime Walk by Ben Fountain completed its long, stead ascent onto our list. Fountain also appeared in our Year in Reading, and Edan Lepucki interviewed him in these pages last June. Our first ebook original, Epic Fail: Bad Art, Viral Fame, and the History of the Worst Thing Ever by staff writer Mark O’Connell, stayed atop our list and continues to win praise from readers and critics. An exerpt is available here and you can learn more about the book here. Near Misses: The Round House, Vampires in the Lemon Grove, Dear Life, Going Clear: Scientology, Hollywood, and the Prison of Belief, and Sweet Tooth. See Also: Last month’s list. With our top five remaining unchanged, the big action in February was the graduation of a pair of books to our Hall of Fame. Gillian Flynn’s juggernaut Gone Girl won over Millions readers with help from Edan Lepucki and Janet Potter’s entertaining tag-team reading of the book in September, though copies were already flying off the shelves in the months prior. Meanwhile, D.T. Max’s Every Love Story Is a Ghost Story: A Life of David Foster Wallace was hotly anticipated by Millions readers from the moment the book was announced. We ran an excerpt and interviewed Max. Those graduations made room for the return of Lauren Groff’s Arcadia (recently interviewed in our pages) and, appropriately enough, David Foster Wallace’s Both Flesh and Not. Near Misses: Dear Life, Sweet Tooth, The Round House, Going Clear: Scientology, Hollywood, and the Prison of Belief, and Billy Lynn’s Long Halftime Walk. See Also: Last month’s list. Judging Books by Their Covers 2013: U.S. Vs. U.K.
As we’ve done for several years now, we thought it might be fun to compare the U.S. and U.K. book cover designs of this year’s Morning News Tournament of Books contenders. Book cover art is an interesting element of the literary world — sometimes fixated upon, sometimes ignored — but, as readers, we are undoubtedly swayed by the little billboard that is the cover of every book we read. And, while many of us no longer do most of our reading on physical books with physical covers, those same cover images now beckon us from their grids in the various online bookstores. From my days as a bookseller, when import titles would sometimes find their way into our store, I’ve always found it especially interesting that the U.K. and U.S. covers often differ from one another. This would seem to suggest that certain layouts and imagery will better appeal to readers on one side of the Atlantic rather than the other. These differences are especially striking when we look at the covers side by side. The American covers are on the left, and the UK are on the right. Your equally inexpert analysis is encouraged in the comments. I much prefer the U.K. version here. The woodblock art is sublime, and the red and black are nice and bold. While living in Durham, N.C., back in the 1980s, I met a guy who was studying creative writing at Duke University. I have come to think of him as the doomed acolyte. One day he told me that his teacher, venerable Reynolds Price, rolled into the classroom in his wheelchair and gave the class a curious assignment. Price told the students they were not to touch the short stories they were working on for the next week. Don’t change a single word. Don’t add or delete a comma. Don’t even look at your stories. When the class reconvened the following week, Price asked how many had fulfilled the assignment. About half of the students, including the doomed acolyte, raised a hand. Price then stunned the room by advising those who were able to follow his instructions that they should consider dropping out of the course. His reasoning was brutal and simple: Anyone who is able to stop writing for an entire week — even for a single day — does not have the right stuff to become a writer. True writers, Price was saying, are in the grip of a compulsion. They have to write, and they are powerless to stop doing it. It is why they are alive and it is what keeps them alive. I’ve been writing every day for the past 40 years or so, sometimes getting paid to do it and sometimes not, and through all those years I’ve assumed I will keep doing it until my wits leave me or I die. In other words, I’m a long-time disciple of the gospel according to Reynolds Price, a believer that writers are people who are both blessed and cursed by the compulsion to distill their experience of the world into words on a page. But Roth’s startling announcement caused me to begin rethinking this assumption. Why shouldn’t writers be free to stop writing when they they’ve lost their appetite for the grind, or when they feel they’ve lost their edge, or when they’ve said everything they care to say? Isn’t it liberating to think that writers are not slaves, after all, but are actually free to walk away from their desks and never look back? And even though many writers remain productive into their eighties and beyond– James Salter, Toni Morrison, Alice Munro, and Elmore Leonard come immediately to mind — isn’t it preferable for some (most?) writers to quit rather than keep going through the familiar motions? 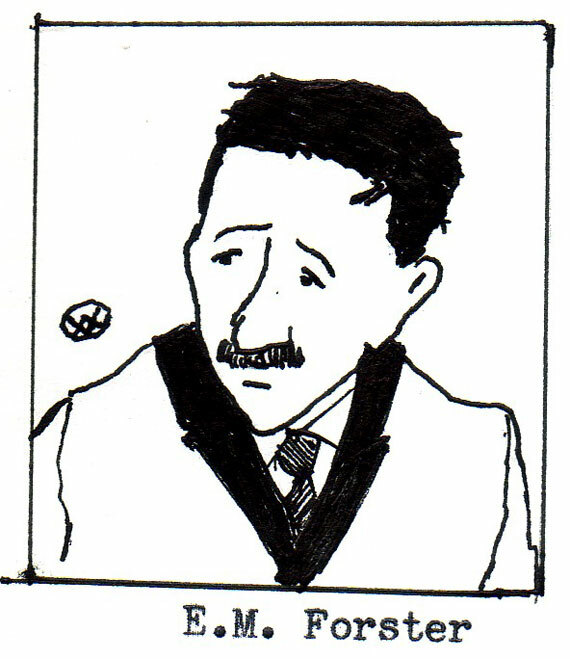 After publishing four novels in a six-year blaze, E.M. Forster (1879-1970) was silent for more than a dozen years before producing his most famous book, A Passage to India, in 1924. Then — no more novels. But Forster did not stop writing. He continued to produce essays, plays, film scripts, criticism, biography, and travel writing, even worked as a broadcaster and collaborated on the libretto for an opera. One theory has it that Forster, who was gay, stopped writing novels because he did not feel free to write about the theme that interested him most: homosexual love. In 1971, the year after his death, Forster’s novel Maurice was published. Begun in 1913 and revised several times, it tells the story of two men who are in love with each other, and happy. Lionel Trilling wrote that his personal feeling about Forster’s abandonment of novel writing “fluctuates between disapproval of a dereliction from duty and a sense of relief that a fine artist has not seen art as a grim imperative.” That notion of writing as a “grim imperative” opened my eyes wider to the possibility that my original thoughts on compulsion were far too narrow. Trilling was relieved that Forster had overcome such a view. Maybe I — maybe all writers — should overcome it too. Munro’s retirement didn’t last. But unlike Jordan’s, her return to the game was not unpretty. Her 2009 collection, Too Much Happiness, was a critical success. Even Dolnick was delighted when Dear Life followed it late last year. He wrote, “Much of the material here will be familiar to anyone who has ever read her — the train trips and heartsick letters and unpaved roads — but the voice is newly sharpened, as if she were freshly aware of only having so many words remaining in her allotment.” Surely a writer’s desire to use up her allotment of words is justification for coming out of retirement. In an interview in 2010, the year after Too Much Happiness appeared, Munro was asked what advice she would give to young writers. She replied, “If you’re going to be a writer you’ll probably take a lot of wrong turns and then one day just end up writing something you have to write, then getting it better and better just because you want it to be better, and even when you get old and think ‘There must be something else people do,’ you won’t be able to quit.” Munro is now 81, and still writing. When the reports of his retirement began circulating several months after that meeting in Berlin, Kertesz wrote to Johnson that the rumors were “a bit too hasty.” He added, “Naturally, I will try to write as long as I can.” Ah, ambiguity. It’s always refreshing to meet writers who admit they’re in it for the money, and it’s important to remember that they’re not always hacks. As Flannery O’Connor once noted, no writer was hotter after the dollar than Henry James. The Master gets some competition from LaVyrle Spencer, who wrote her first romance novel when she was in her 30s and working as a junior high school teacher’s aide in Minnesota. She went on to produce 23 novels, including a dozen New York Times best sellers, and was inducted into the Romance Writers of America Hall of Fame. Then, at the age of 54, she retired from writing. Why did she quit cold when she was selling millions of books and making millions of dollars? It’s downright…un-American. “I want to feel free!” she told Publishers Weekly. She added that she had set a financial goal when she was starting writing novels, and once she reached it she promised herself she would retire. Unlike so many others, she kept her vow. She told PW she planned to enjoy her two young grandchildren and travel with her husband. No grim imperative for LaVyrle Spencer. But no dead writer has out-produced the Chilean novelist, poet, and short story writer Roberto Bolaño, whose estate has put out a torrent of titles since he died of liver failure in 2003 at age 50. The posthumous output peaked with 2666, a novel of breathtaking sweep built around the disappearance of hundreds of women near the Texas-Mexico border. The torrent is finally subsiding, but scholars, critics and biographers are sure to keep picking over Bolaño’s life and work for years to come. To kick off a new year of our Top Ten lists at The Millions, we made a slight adjustment to our calculations. The change has to do with how we account for lower-priced, shorter-form ebook originals that have become popular with our readers and effectively gives a modest penalty to the cheaper ebooks and recognizes that a purchase of a $1.99 ebook is different from buying a hardcover costing $20 or more. Despite this change, thanks to the overwhelmingly positive response from our readers, our first ebook original, Epic Fail: Bad Art, Viral Fame, and the History of the Worst Thing Ever by staff writer Mark O’Connell, lands atop our list. So far, the feedback from readers has been great, and we hope more will be inspired to pick it up. An exerpt is available here and you can learn more about the book here. Also debuting is Tenth of December by George Saunders, one of our Most Anticipated books and a title that has gotten a ton of positive press. Finally, also debuting is Chris Ware’s Building Stories, reviewed in these pages by none other than Mark O’Connell. Ware also participated in our Year in Reading in December. Other Near Misses: Dear Life and The Round House. See Also: Last month’s list. After an impressive run, A Naked Singularity by Sergio De La Pava graduates to our Hall of Fame (check out Garth Hallberg’s profile of De La Pava that introduced many of our readers to this unusual book). This makes room for Junot Díaz’s This Is How You Lose Her (our review) to be crowned our new number one. Also joining our Hall of Fame is The Patrick Melrose Novels by Edward St. Aubyn (see our review of the last book in the series). Debuting on our list is Nicole Krauss’s An Arrangement of Light, a bite-sized ebook original. And Krauss is joined on our list by Lauren Groff’s Arcadia (selected by Alexander Chee, Emily St. John Mandel, and Janet Potter in our recent Year in Reading series; Groff was also a participant) and Sweet Tooth by Ian McEwan (which we recently reviewed). Dave Eggers’ A Hologram for the King slipped off the list. Other Near Misses: Dear Life, Building Stories, The Round House, Billy Lynn’s Long Halftime Walk, and Tiny Beautiful Things: Advice on Love and Life from Dear Sugar. See Also: Last month’s list. While reading Alice Munro’s new book, Dear Life, I kept finding myself thinking of something that had nothing to do with books, or with Canada, or with any of the dozen other things you might expect. What I thought of was a professional basketball game I went to 15 or so years ago. The Bulls were visiting the lowly Wizards (who were then still called the Bullets), and my friends and I had lucked our way into decent seats. It was the first and only time I’d seen Michael Jordan in person, and it was the strangest thing. You could feel a collective awareness in the building, like the smoke lingering after a fireworks show: he will outlive every one of us. Jordan’s name would appear the next day beside Calbert Cheaney and Bill Wennington’s in the box score, but years from now, when their names evoked nothing, his would be unfaded. He inhabited the court like a time traveler, visiting from a future in which he continued to exist while the rest of us — chewing our $7 hot dogs, taking his picture every time he touched the ball — did not. Which is to say: contemporary greatness is a strange thing. Alice Munro’s books are reviewed right there beside Ann Patchett and Richard Russo’s; they’re set on the New Releases table between the latest from Jane Smiley and Dave Eggers. But they’re of a different order, they’re made of different stuff. The Mona Simpson quote that appears on many of Munro’s paperbacks (“The living writer most likely to be read in a hundred years,”) seems truer than ever, and it gives an air of preemptive nostalgia to the act of reading her. Soon enough it will seem very strange, almost miraculous, that we could go to the store to buy a new book by Alice Munro. But for now, anyway, we can; the daily highlight reels must still be assembled. And so how does this latest collection of stories, her 14th, stack up? It is, I’m pleased to report, wonderful — even surprisingly so. Since 2001’s Hateship, Friendship, Courtship, Loveship, Marriage, published when she was 70, she had seemed to me to be in the cruising phase of her career. The three collections since then were full of good, solid, Munro-grade stuff, but with a couple of exceptions, there were no stories that I imagined would make it into her best-of collections. Her writing had simplified considerably, and she seemed, with her plots, to be retracing old ground. When she announced her retirement in 2006, I confess to feeling a certain relief; she was too proud and too self-aware to leave us remembering her like Jordan on the Wizards. Well, she didn’t retire, and it’s a good thing she didn’t. Her writing continues in its understated mode, but the simplicity seems now to reflect an increased urgency, rather than a diminished capacity. There’s a kind of cut-the-crap quality to this latest batch of stories — material that might have once have taken up 20 pages she now deals with in a couple of sentences, unsentimentally, almost in passing. In “Gravel,” the news that the narrator’s sister has drowned arrives by implication, like the passings of the seasons. In “Train,” a man walks away from his life with as little fanfare as if he were walking out of a movie theater. He’d thought that it had happened long before with Isabel, but it hadn’t. Not until now. She had existed and now she did not. Not at all, as if not ever. And people hurried around, as if this outrageous fact could be overcome by making sensible arrangements. He, too, obeyed the custom, signing where he was told to sign, arranging — as they said — for the remains. “Not at all, as if not ever,” — these seven short, simple words give as clear an account of grief, of the infantilizing incomprehensibility of a loved one’s death, as anything I’ve ever read. The book is full of formulations like that — births and deaths, marriages and infidelities, rendered in unimprovable calligraphic strokes. Much of the material here will be familiar to anyone who has ever read her — the train trips and heartsick letters and unpaved roads — but the voice is newly sharpened, as if she were freshly aware of only having so many words remaining in her allotment. And, in fact, such an awareness becomes explicit in places; growing old has, like a trip through a difficult country, endowed Munro with all manner of new information, and she has here begun to file her dispatches. “In Sight of the Lake,” about a woman’s increasingly baffled search for her doctor’s office, is as harrowing an account of old age as I’ve ever read. And “Dolly” makes the case, with worrisome authority, that jealousy and heartache are not occupations from which we may retire. A surprise, then, is that the book ends with a sequence of stories that Munro could almost have written decades ago. “The final works in this book are not quite stories,” she writes in an author’s note (under the disconcerting heading “Finale”). “I believe they are the first and last — and the closest — things I have to say about my own life.” A certain prurient ear-pricking is natural, when an author promises to share the actual goods about herself, but what she has to say turns out to be not so different from what she’s said about her childhood in her earlier books. We get the failing fox farm, the humble father, the ambitious and ailing mother. We get the house set uneasily between town and country, the rickety bridges, the trees known by name. The difference, if there is one, is the frankness with which she sets aside the possibility of artifice. It’s as if, after decades of plot trickery and composite characters, she longs to remove all the filters from her light, to show us the bare bulb. Here, finally, is the intelligence itself, the compassionate but merciless awareness that she has shone through all her hundreds of stories. At the end of one of those stories, a dozen or so books ago, there’s a sentence that may be the best single thing she ever wrote, and it offers something like a key to her entire career: “People’s lives, in Jubilee as elsewhere, were dull, simple, amazing and unfathomable — deep caves paved with kitchen linoleum.” In Dear Life, Munro, equipped with a head-lamp the likes of which we may never see again, continues to explore. The Guardian posted a short story from Alice Munro’s new collection. This November, Knopf recently announced, Alice Munro will publish Dear Life: Stories, her 13th book of shorts and second since her announced “retirement” in 2006. For Alice Munro fanatics — a group in which I proudly include myself — this is, of course, wonderful news. It’s also an excuse, as if we needed one, to revisit her previous work, and to push her books on the world’s non-Munroviacs. Considering which of Alice Munro’s stories to read can feel something like considering what to eat from an enormous box of chocolates. There are an overwhelming number of choices, many of which have disconcertingly similar appearances — and, while you’re very likely to choose something delicious, there is the slight but real possibility of finding yourself stuck with, say, raspberry ganache. The Munro book to read if you’re only willing to read one but don’t like the idea of reading a literary greatest hits album: The Beggar Maid. Published in 1977, The Beggar Maid is as close as Munro has ever come to writing a novel, but it actually does a better job than just about any novel I know of getting an entire, living human being onto the page. 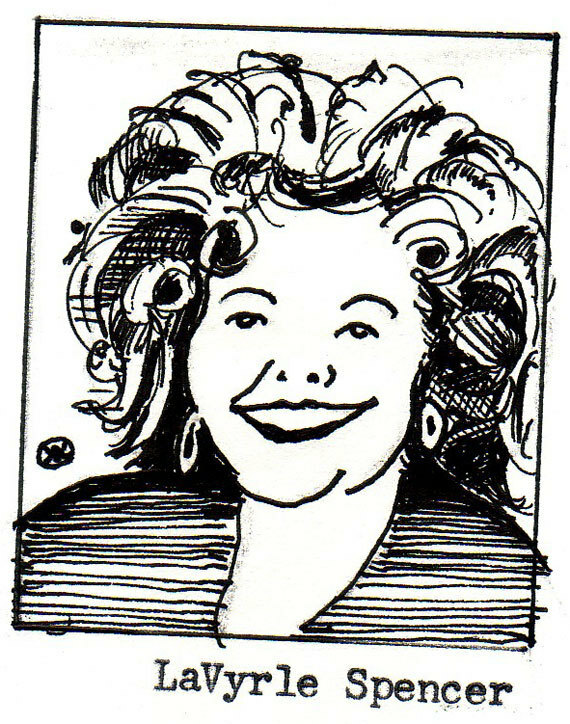 The book follows a woman named Rose all the way from her early childhood to her middle age, and never feels stretched. It’s an extraordinarily high-grade steak that just happens to be served in slices. Best story, in the category of autobiographical-seeming stories about love: “Bardon Bus,” which contains some of the most convincingly rendered emotional agony I’ve ever read. Best story, in the category of historical drama: “A Wilderness Station,” which should, with its many voices and bizarre, dramatic happenings, put to rest any notion of Munro as a predictable dispenser of affair/epiphany-type fiction. Best story, all categories: “The Beggar Maid,” which showcases, among other things, her remarkable deftness in telling stories that leap around in time. Story featuring most implausible twist: “Tricks.” A woman falls in love with a man, meets him again and is puzzled by his coldness. Turns out, the cold one was an identical twin. She acknowledges the silliness within the story, but still. Most depressing story that will somehow leave you uplifted: “Dulse,” in which a woman spends a few days thinking gloomy thoughts in New Brunswick in the wake of a devastating breakup. The brilliant little breakfast scene with the Willa-Cather-obsessed man is a joy. Most uplifting story that will somehow leave you depressed: “The Turkey Season,” in which the narrator cheerfully remembers the winter she spent working in a turkey barn. A sense of never-quite-resolved unease hovers over this story like a snowstorm. Authors to read once you’ve finally gotten your fill of Munro: William Maxwell (who’s Munro’s favorite writer), Eudora Welty (whose story, “A Worn Path,” Munro has called the most perfect story ever written), and George Saunders (whose stories, despite very much not being set in rural Canada, are as moving and smart and humane as Munro’s). Good news: There’s a new Alice Munro collection coming this fall.